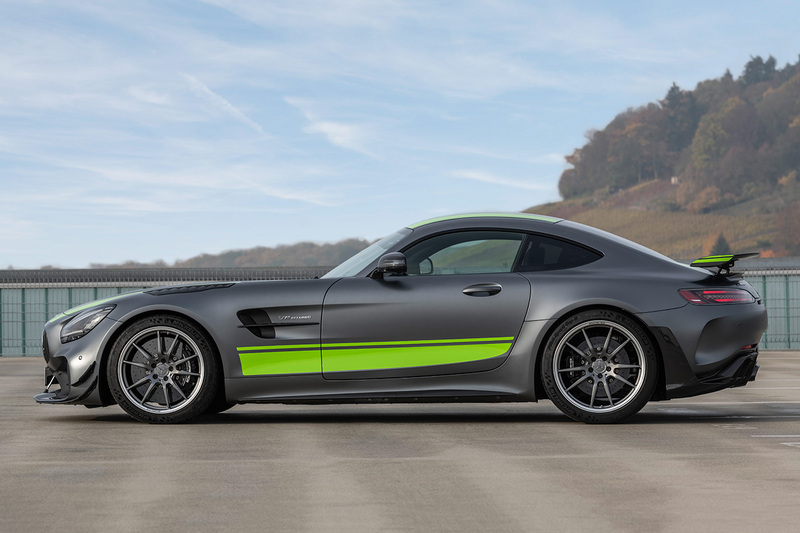 While most people associate the average Mercedes-Benz vehicle with luxury and class, the discerning automotive fanatic knows that their AMG division is synonymous with high-powered performance. 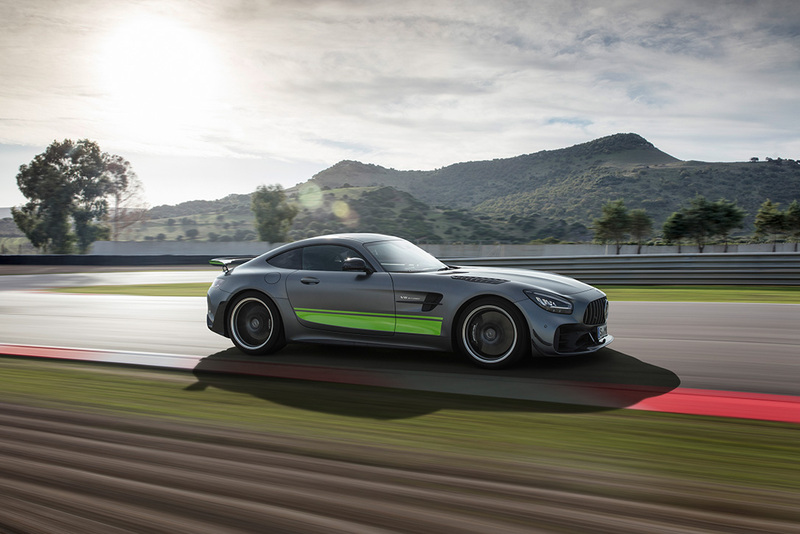 If you’re not familiar with their in-house tuner, however, it’s time to get acquainted via their impressive new track-ready 2020 Mercedes-AMG GT R Pro. In case you haven’t gathered it from this car’s menacingly low and wide stance, this beast was made to go fast. 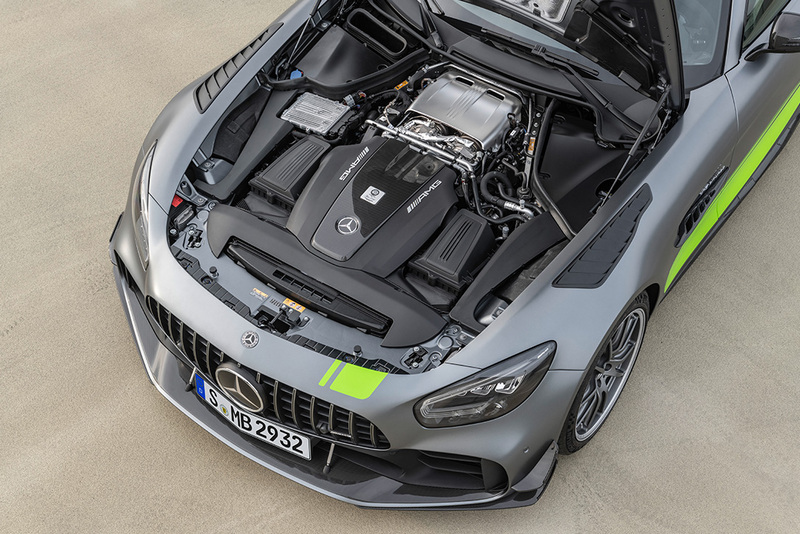 In fact, it features a V8 Biturbo powerplant that’s good for a monstrous 577 horsepower, giving it a 0-60 time of 3.5 seconds and a top speed of 198mph. That performance couples beautifully with a suite of new features, including a lightweight carbon fiber construction (including the wheels, roof, spoiler, mirrors, etc. 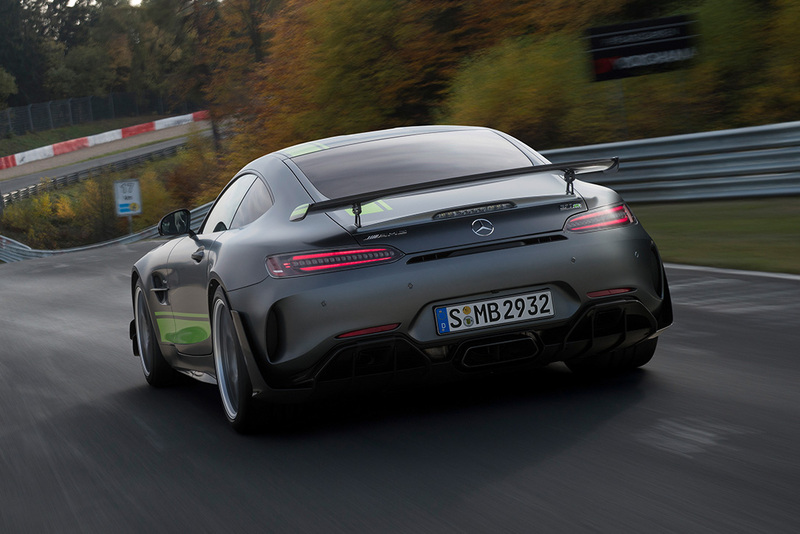 ), finely-tuned aerodynamics for increased downforce, an adjustable coil-over suspension you can tune to suit your track of choice, and more. 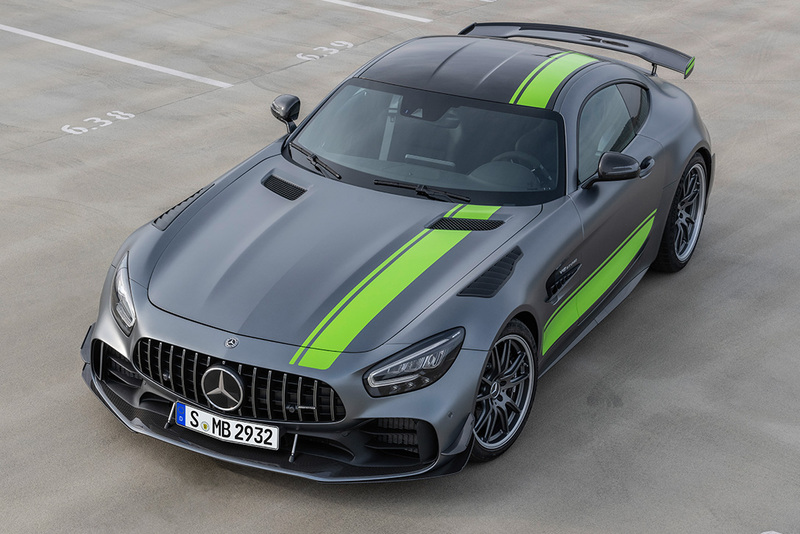 The German automaker will also be releasing two other road-going versions, the standard GT and the GTC, albeit with lesser performance figures. Pricing and availability have yet to be unveiled. And be sure to check 15 Fastest Cars in the World – TOP List.